Mariska Karasz was born at the end of the nineteenth century and came to the United States, in the early part of the twentieth century. 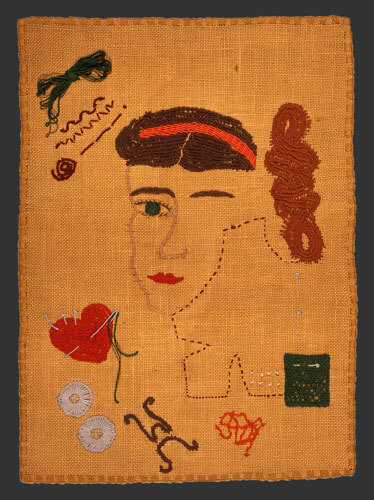 She learned to work with textiles as a young girl in her native Hungary, and fabrics and threads remained integral to her subsequent professional careers as a fashion designer and artist in New York. This site documents her work in fashion and artistic career in embroidery. Collectors, Curators, Museums, Galleries, Academic Institutions etc. NEW - Click HERE to place a comment or question. A recent blog posting on Crafting a Beautiful Life from England.